Located in the heart of the Tasman region of New Zealand, Nelson offers an active lifestyle among natural landscapes. From leisurely activities of shopping, heritage tours, and indulging in decadent food and wines, to getting lost in Nelson’s extensive serene native bushes, beaches, and mountains, Nelson is a destination for all. 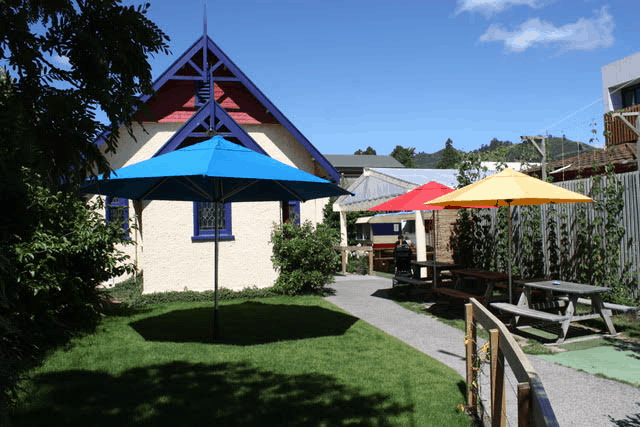 An array of organic cafes and restaurants that offer a diverse range of cuisines are scattered within the communities of Nelson, providing locals and visitors with a complete dining experience wherever they choose to indulge. For a casual day time feed, Deville, a family run cafe also located in the centre of Nelson, focuses its values on providing their customers with locally grown produce. 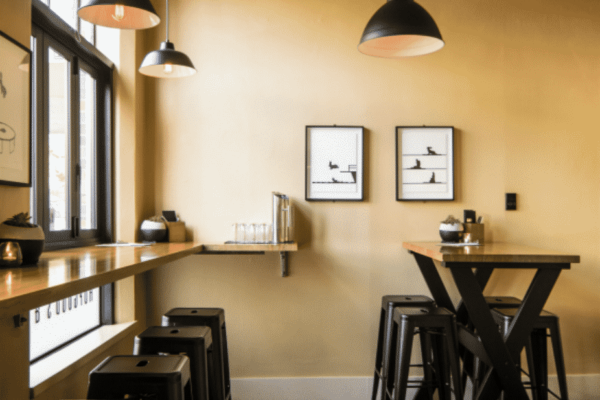 The pleasant aura of the cafe and its extensive menu items draws in passerby’s as well as coaxing locals for regular visits. Hopgoods, a bistro style restaurant located in the central of Nelson, caters guests in a modern, yet comfortable environment. 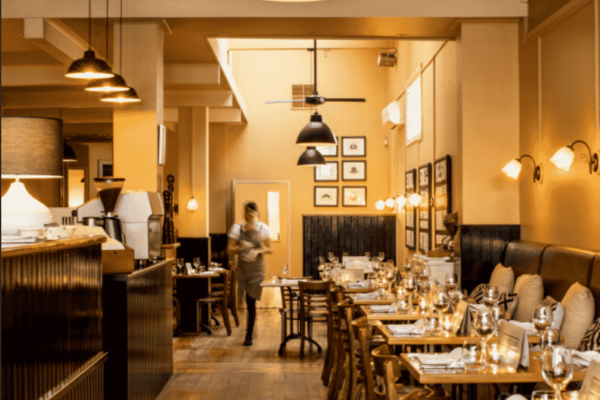 Hopgood’s attracts guests through its alluring menu that balances their small proportions of starters with hearty and unique mains. Located alongside Nelson’s Provincial Museum, Hopgood’s is housed in the premises of a heritage building, and can be best enjoyed as a destination part of your own historic excursion. 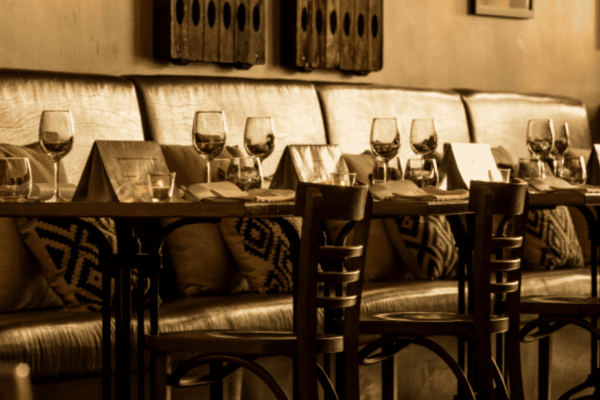 To be ensured a table, reservations can be made online at Hopgoods and Co, or alternatively, by contacting (03) 545 7191. 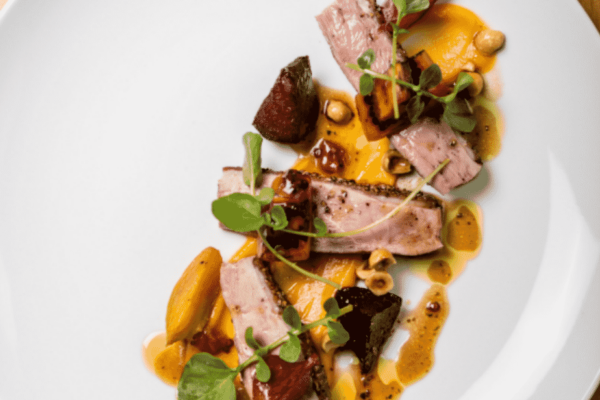 River Kitchen, offers guests a fresh and seasonal menu, best enjoyed soaking in the sun on the cafes terrace, situated on the banks of the Maitai River. 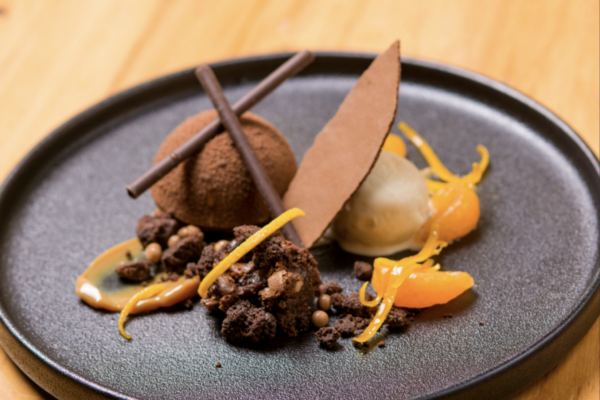 Being a fully licensed joint, River Kitchen is a perfect destination for those seeking an escape from the hustle of the city, for a drink and a hearty feed to wind down. The image to the right, shows guests dining at the River Kitchen during a day time function. 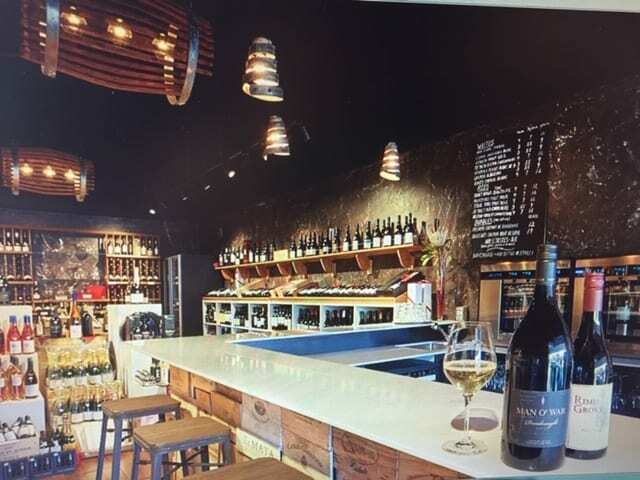 Casa Del Vino, a wine bottle shop found in the heart of Nelson’s town, is the home of a selection of both local and boutique wines found throughout New Zealand’s ten wine districts. 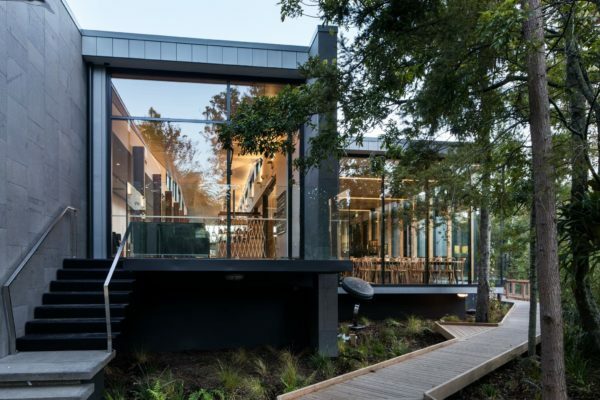 With its vision to expand into a “full service retail shop, tasting bar and private event venue”, the store expresses its love for the Nelson region. The image to the right, shows the interior of Casa Del Vino with its array of local and boutique New Zealand wines. The Free House is a quant, converted church house, encompassed by an open garden. 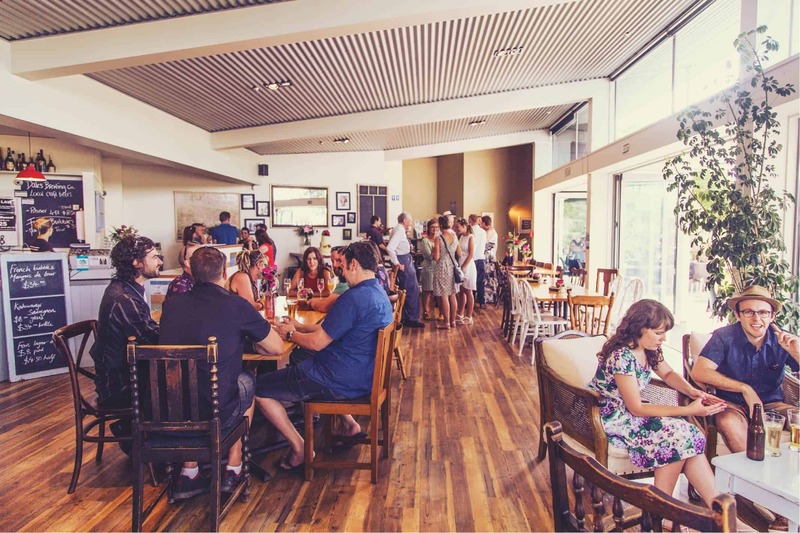 Offering craft beers from all over New Zealand, The Free House is not limited for options. Whilst sipping on your choice of beer, wine, or cider, guests can indulge in finger foods from the caravan attached to the reformed church, or are alternatively welcomed to bring in food from other local restaurants. This sharing and comfortable atmosphere has made The Free House a local favourite. The shopping culture you’ll find in Nelson is purely ethical, with most of the smaller businesses locally run. Often within heritage buildings, these stores have taken on a traditional life of their own, adding to Nelson’s historic component. From sport to boutique artisan stores, Nelson provides for everyday needs as well as unique and locally crafted gifts. Home of the Pic’s Peanut Butter Factory, Nelson attracts peanut butter enthusiasts seeking a tour of the factory of the renowned, rich, spread itself. These tours run in the weekday for 40 minute periods and can be booked online, free of charge. Expect to be guided through a personalised insight to the machinery used in the Pic’s production, as well as a chance to make your own, stylised, peanut butter. Although selective, this destination can be great for those travelling with children. Its interactive component, as well as the exclusive look in on how the nuts are ground into the popular spread, can be riveting for both children and their parents. The factory is a simple 10 minute drive from Nelson Airport. Markets are a regular destination for the locals of Nelson. Whilst those visiting the region may pass through the Nelson Market on a Saturday morning to pick up fresh produce, visitors can indulge in this farmers and artisan scene, experiencing the love that Nelson locals have for their regions natural environment. With over 40 years experience of vendors selling produce, the market offers a variety of products, extending to local crafts like artwork and ethical clothing. Adding to the overall homely experience of the market, is the policy that only high quality local producers and makers are permitted to sell. For further information regarding the markets opening hours and location, visit their online site. Taking over the Montgomery Square from its Saturday markets, is the Monty’s Sunday markets which is a destination for those with the desire to hunt preloved treasures. Whilst a few stores of fresh produce remain open, the Monty’s Sunday markets are home to stalls run by locals who wish to pass on their collectables, antiques, or an array of everyday items in good condition. The recyclable component of this market, adds to the communities of Nelson’s overall careful consideration of the environment. The opening hours and location of the market can be found on their online site. Art pieces in the form of public murals and sculptures, conceived by local artists, are scattered across Nelson’s town, bringing an aura of originality to the region. These works are a pleasant surprise when stumbled across while exploring the city. Home to a variety of vibrant artists, Nelson lures those with art interests into the art scene of the city centre. The Bishop Suter Memorial Art Gallery is renowned for its dynamic variety of exhibitions, both permanent and temporary. Whilst delving into a space where local art is celebrated, visitors are encouraged to attend education programmes which offer hands on art classes for both adults and children. Details of these classes exist on the galleries online site. The images to the right, are credit of photographer Paul McCredie. Nelson’s culture is widely acknowledged for its heritage buildings which are a constant reminder of the towns historic existence. These heritage buildings, present among modern infrastructure of Nelson’s central, can be found without intention. 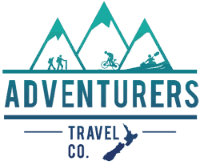 But, if you prefer to take your own lead, a self guided excursion, detailed with a list of destinations, can be found on the Nelson City Council site. This guide will take you on a journey to where many heritage buildings remain standing. These buildings, restored in order to extend their life, have been converted into modern retail shops and office and living spaces, with their exterior remaining in original condition. The Nelson Provincial Museum, provides visitors with an experience unique to Nelson. With an array of content regarding the natural and human history of the region, the museum is a destination for those that wish to enrich their experience of Nelson through gaining knowledge of its local history. 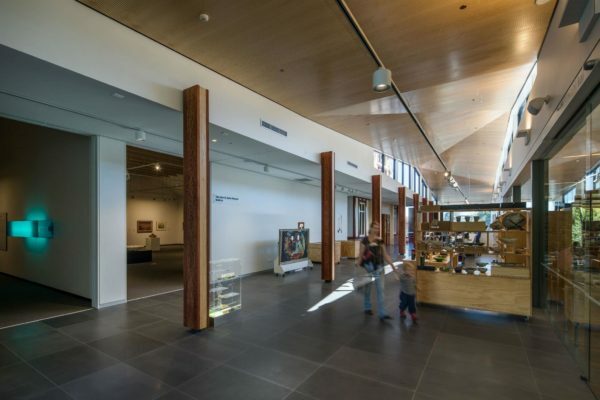 Located in Nelson’s central, the museum is easily accessible on a drop in basis. 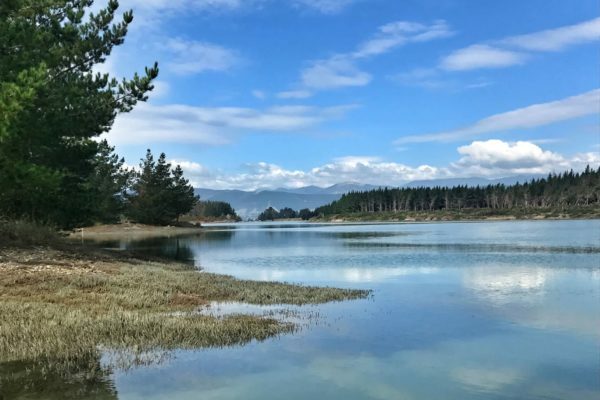 Mapua, only 30 minutes from Nelson city, is a vibrant, small town that is a destination for those seeking a trip that will satisfy an entire day during their stay in Nelson. With its boutique stores and quality restaurants alongside Mapua’s serene waters, the town offers an opportunity to relax whilst avoiding the bustling crowds that accompany Nelson’s city. Mapua’s Wharf, encompassed by the Waimea Estuary, is home to an abundance of galleries, stores and eateries. The wharf and its offerings pair to provide visitors with a day of indulging among Mapua’s natural attractions. The Smoke House, situated in a shed on the wharf, has been smoking and selling mussels for over 20 years. A popular destination for many, the store offers an array of smoked local seafood for visitors to indulge in whilst exploring the estuary. After a fresh feed at The Smoke House, a real fruit ice cream is best enjoyed at Hamish’s Ice Cream and Cafe. As well as offering an extensive range of ice cream flavours, Hamish’s provides guest with quality coffee and regular cafe meals that can be eaten whilst bathing in the sun on their outdoor furniture. Once visitors have satisfied their desire to indulge, a visit to one of the many galleries scattered along the wharf can be a nice way to wind down. A list of these galleries, accompanied with a summary of their offerings as well as their location, is found on the Mapua Wharf’s online site. Rabbit Island, a 10 minute ferry trip from Mapua Wharf, can be a half or full day destination for those visiting Mapua’s town. Suitable for active individuals as well as families, the island is best explored either by foot or bike. The preserved beach, which stretches a vast 13km, and is met with the islands pine plantations, is a tranquil setting for swimming or a lunch break. 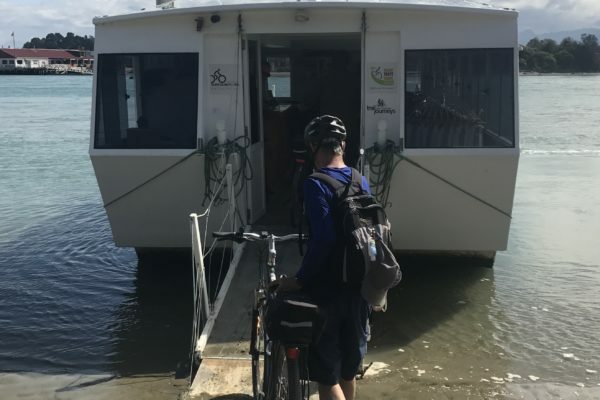 For more information on how to get to the island via ferry, as well as bike hires, visit the Mapua Ferry website. If you’re planning a visit to Nelson, get in touch with Adventurers Travel Company and we can organise a customised holiday for you.